Icom IC-E2820 using a Diamond X30 antenna and 20 meters of Aircell 7 coax cable. I'm living in a student room, so things are a bit improvised. 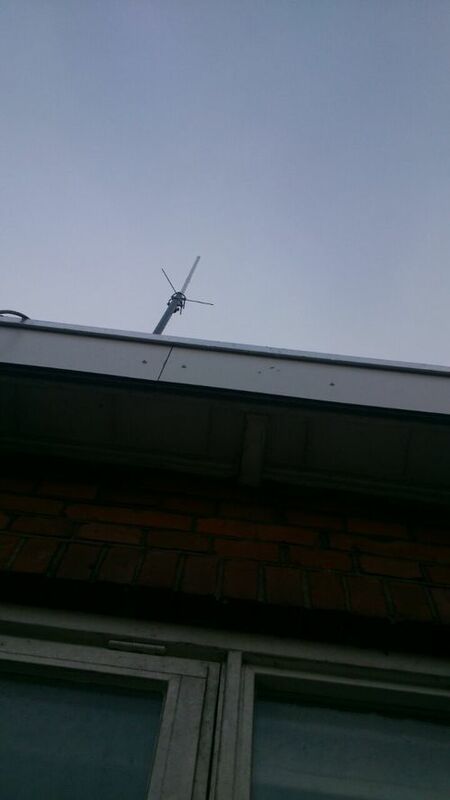 The antenna mast is on the third floor (four is you count the ground floor, it takes three stairs to get to it). Luckily I've got access to a personal balcony on the second floor (third if you count the ground floor), so it's easy to get the cable to the top balcony. 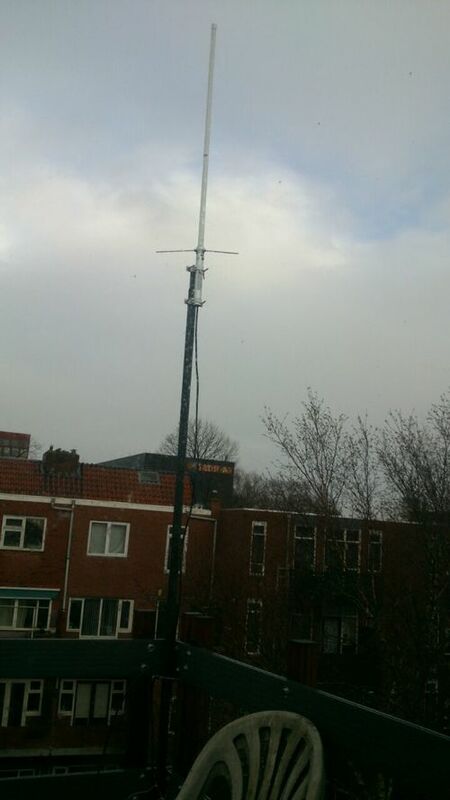 The antenna as viewed from my personal balcony (on the second floor). For pictures of the radio and desk, view the page on my old station. It's basically the same.